In 2017 as part of Hay Festival’s 30th Anniversary celebrations, we undertook a range of projects in support of our sustainability programme, engaging our audience in activities that aimed both to educate and directly improve their local environment, creating a sustainable legacy. Partnering with The Woodland Trust, our Thirty Acres project fostered the creation of digital and real-life woodlands across the UK. The Virtual Woodland: a Hay Festival virtual wood, a digital forest or an online orchard encompassing the trees distributed at Hay as part of the 30th anniversary. Every person planting a tree can upload the GPS co-ordinates and a photograph of their tree to create a virtual woodland mapped across the UK. This featured as part of the Woodland Trust’s plans for celebrating the 800th anniversary of the Charter of the Forest in 2017. The Anniversary Avenue – the creation of an avenue of 30 trees leading up to Mousecastle Woods on the outskirts of Hay. These woods are owned by the Woodland Trust and are the nearest to the Hay Festival site. 30 Trees for 30 Schools – 30 anniversary trees will be supplied to 30 schools in the area surrounding Hay-on-Wye. Each tree will be linked with a particular author and tree-related story and planted in the grounds of the school, also providing opportunities for follow-up work with the schoolchildren, writing or drawing their own tree-related stories. The 30 Acres – 30 landowners in the two counties surrounding Hay-on-Wye, Herefordshire and Powys, identify an acre each that can be planted with trees. The 30 acres could be linked with the 30 schools. 30:30 Vision – 30 pupils, one from each of the 30 schools, is selected to plant a tree on HRH Prince Charles’s estate at Llwynywermod. 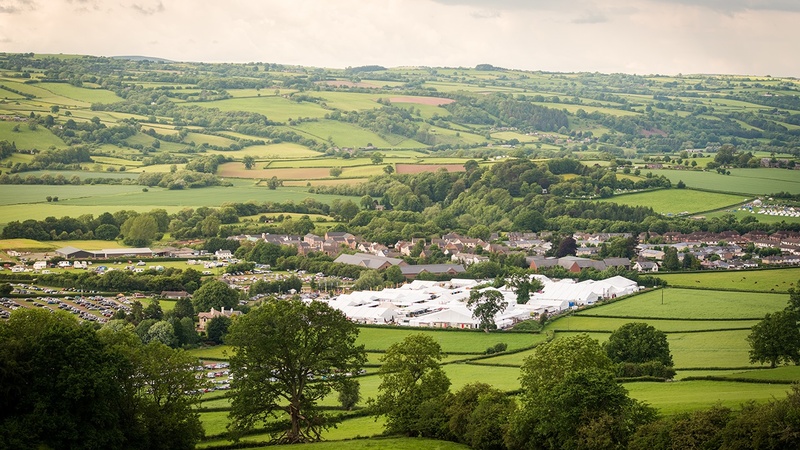 For more information please contact Andy Fryers, Sustainability Director, andy@hayfestival.org.